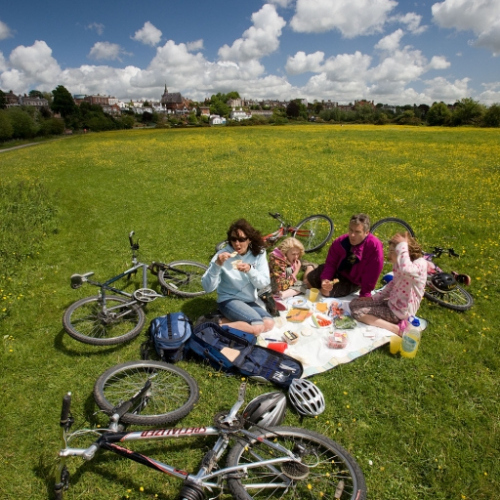 Explore the gently rolling quiet, Shropshire Plain and borderland with this cycling holiday. The area has many small glacial lakes, mosses, rare plants and wildlife. 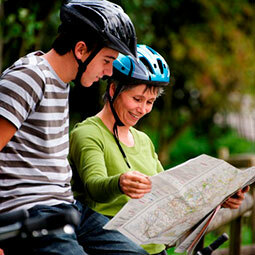 Choose the easy break, or the moderate break with slightly longer cycling distances. 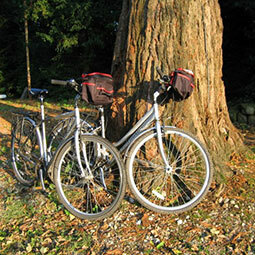 The cycling is exceptionally quiet with little lanes and few cars making it an ideal holiday for children or those wanting a peaceful wind down for a few days. Shrewsbury is nearby allowing opportunity to visit this historic town either at the start or end of your break. Cycle along quiet lanes, through pretty villages like Loppington, English Frankton and Clive, and past many small lakes dotted around the Shropshire Plain. 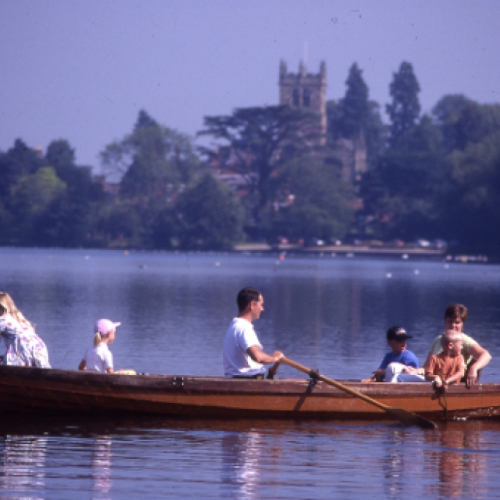 Visit Colemere Country Park, the pretty town of Ellesmere (with its weekly market, Mere, heron watch and canal wharf). The three night break passes Hanmer Mere, Hawkstone Park and Follies, Wollerton Old Hall Gardens, Morton Corbett Castle and Hodnet. Day 3 – Cycle through quiet countryside and villages of Stanton on Hine, Shawbury and Hadnall. 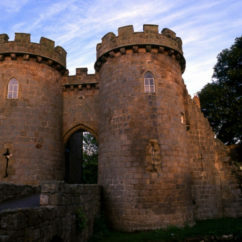 The route passes Morton Corbet Castle ruins, Haston Country Garden Centre (rose specialists) and Merrington Green nature reserve. Stay at the Burlton Inn . 19 miles or 10 mile shorter option. 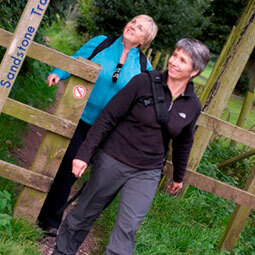 through Loppington, Commonwood nature reserve) We give you both and you can decide on the day. Day 4 – Cycle back to Ellesmere past Colemere Country Park, then on to Ellesmere where we meet you with you luggage and to collect the bikes. 12 – 14 miles. 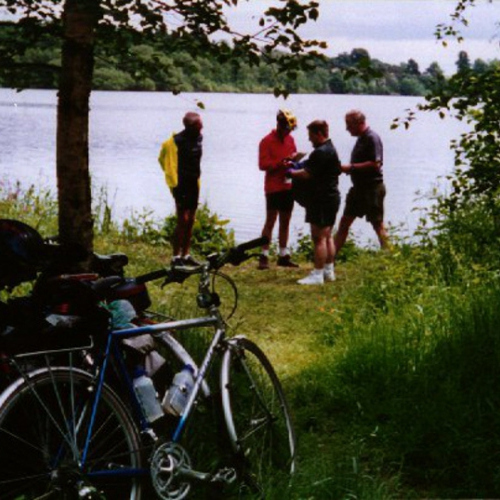 Day 2 – Cycle out of Ellesmere along the canal to Colemere Lake and Country Park. From here visit the small market town of Wem famous for its sweet peas. Then on past Hawkstone Park and Follies to Wollerton (chance to visit gardens, NB not open every day – check with us for opening times if you want to visit) and on to Hodnet. (Hall and Gardens have only limited opening) to stay at Bear Hotel. 20 – 21 miles. Day 3 – Cycle through quiet countryside and villages of Stanton on Hine, Shawbury and Hadnall. 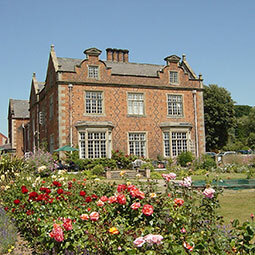 The route passes Morton Corbet Castle ruins, Haston Country Garden Centre (rose specialists) and Merrington Green nature reserve. Stay at the Burlton Inn. 24 miles. Day 4 – Cycle back to Ellesmere past Colemere Country Park, through small hamlets and the village of Whittington with its lovely castles ruins surrounded by a moat. Nice pub stops for lunch either just before Whittington or after (the Jack Mytton Inn near the canal). Then on to Ellesmere where we meet you with you luggage and to collect the bikes. 24 – 25 miles.